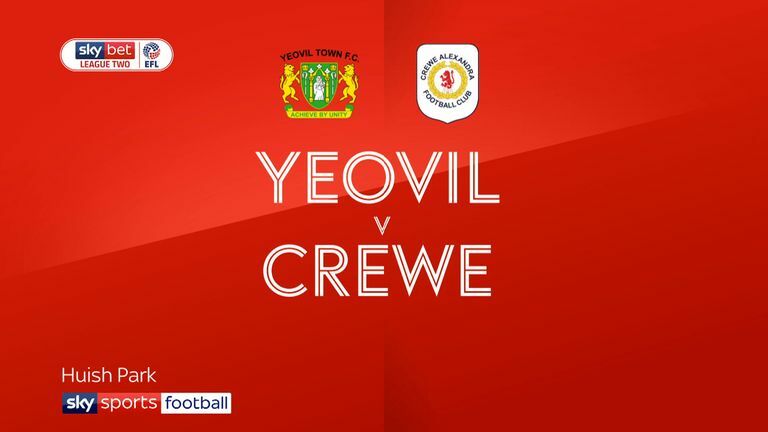 Highlights of the Sky Bet League Two match between Yeovil and Crewe. 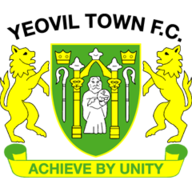 Yeovil Town and Crewe Alexandra played out a 1-1 draw at Huish Park in Sky Bet League Two. 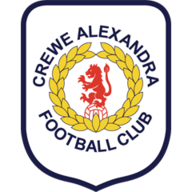 Having started the stronger of the two sides, Crewe got their rewards after 14 minutes as Shaun Miller played in strike partner Jordan Bowery and - after seeing his first shot saved by Nathan Baxter - Bowery tapped in at the second attempt. The home side regrouped and struck back in the 25th minute as a Tom James cross bounced off Yoann Arquin, but Alex Fisher was quick to react and sent a low shot into the bottom corner. Bowery had a great opportunity to add his second just before the break but, after being picked out at the far post by Charlie Kirk, the striker was denied by a last-ditch Carl Dickinson challenge. The hosts started brightly in the second half as Fisher flicked a Jake Gray cross just wide before Olufela Olomola hammered a shot that Ben Garratt blocked well. But - despite plenty of space opening up - neither team could find the winning goal.